Eleven riders from three of N.Ireland's clubs competed at the first Irish National of 2015. Considering there are no completed tracks in the north, only a couple of pump tracks, results were good. Starting with little Josh Hamilton, the lad was hanging with the best of his group however, some back luck in his final, left him in seventh. The Mallon brothers both made B finals with Brandon finishing third and Bailey finishing first. 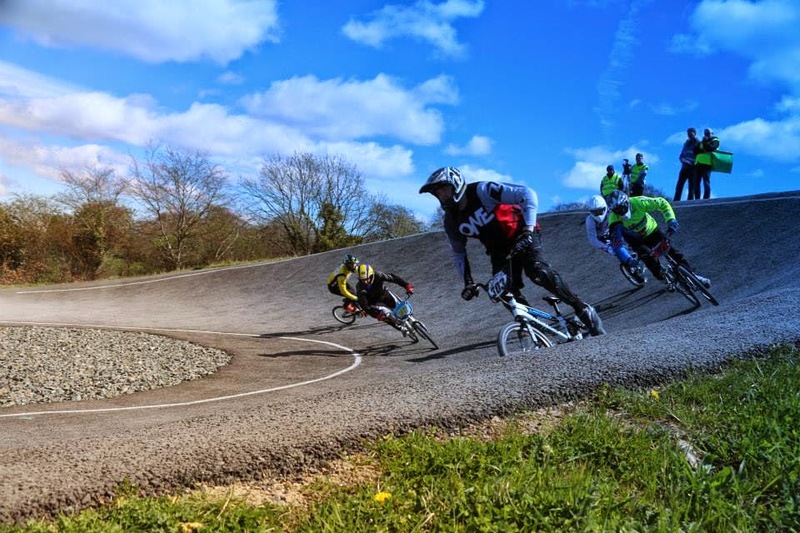 Once Lisburn Bmx track is up and running these two will be up there with the best of them. Jay Mackness, member of ECR, was riding well all day finishing with a sixth in the A final. Another great result. The McGuffin clan were going well with Kirsty & Charlotte finishing fifth & sixth in their respective groups. The manager and father Gordon also raced well giving Mark Kennedy a run for his money, finishing second in the masters B final. The older members of the clubs, Ian Hamilton, Howard Bennett, Geoff Lynch, Gordon McGuffin and Mark Kennedy all raced masters. Racing was tight all day with Ian Hamilton & Geoff Lynch making the A final with Ian finishing fifth and Geoff finishing seventh. Mark Kennedy and Gordon McGuffin made the B final with Mark winning and Gordon second. Big shout to Howard Bennett, first race in 27 years and Howard was flying. Third in his first moto and sitting in second in his second moto, Howard had a bad fall which put an end to his racing for the day. Although only two riders from Belfastcitybmxclub raced, we had 20 members and family down to watch and find out what bmx racing is all about, which everyone fully enjoyed. All in all, a great day's racing and congrats to Lucan for such a well run event.